After months of internal discussions in the United States government about President Donald Trump’s proposed easing of regulations limiting the export of deadly drones, the White House is ready to formalize the change soon, according to reports. Reuters has reported that the relaxed drone export rules are a "long-delayed new policy… due to be rolled out as early as this month." As Israel and China churn out lethal drones for willing buyers around the globe, US defense firms have lobbied with greater urgency to be able to sell their products to foreign customers, the news service reported Tuesday. Sputnik News reported last August that the White House was reviewing its defense export policy to boost unmanned aircraft sales to allies and partners around the world. Sputnik also reported the same week that Trump's White House was encouraging diplomats and military attaches to aggressively lobby foreign governments to buy more US-made weapons as part of the "Buy American" plan. The delayed policy change has reportedly led Defense Secretary James Mattis to write a letter to National Security Advisor HR McMaster urging him to expedite the shift so that the US does not lose out on more deals. Surveillance drones of all sizes will be easier for buyers around the world to acquire, according to Reuters, while armed drones available for purchase will have to be smaller than the Predator drone, carry fewer missiles, and have a shorter flight range. US government officials said that Saudi Arabia, Japan, South Korea and oil-rich Persian Gulf nations are interested in buying US drones, as are various NATO members. Human rights advocates have sounded the alarm about how frequently UAVs lead to civilian casualties. 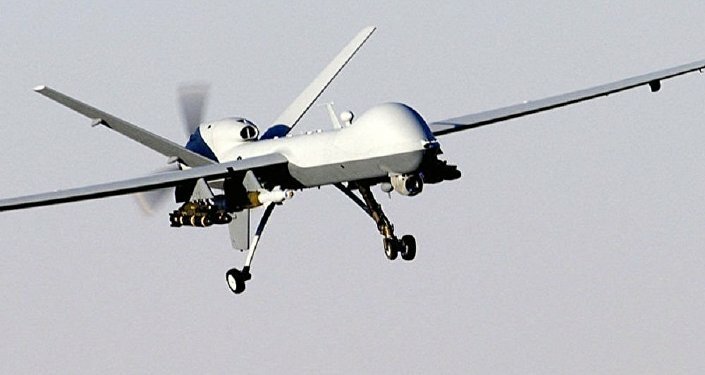 About 32 percent of the people who have been killed by US drone strikes in Pakistan were civilians, according to a study from the London School of Economics.